A Fillies' Novices Stakes over 7f 36y (Plus 10 race) (Div I) (Class 5) (2yo) on Standard going. Interesting how horses progress with racing. 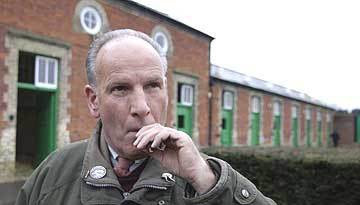 Sir Mark Prescott's' Bath And Tennis is a fine example of why it doesn't pay to write off a horse too quickly. Two-year-olds develop at different rates. They have different temperaments. Also, it shouldn't be forgotten that trainers take time to appreciate what works for each and every horse. Juveniles have breeding lines which help handlers assess the best distance. Perhaps not a blank canvas but unlike an experienced horse, there are more variables which need pinning down. Bath And Tennis is a daughter of Footstepsinthesand who has raced eight times, twice a winner. This bay filly was on our radar early season because we knew Prescott liked the horse. However, after two promising starts, she was outclassed at Royal Ascot and then disappointed at Beverley and Chepstow to a point where I had almost given up. The reason why she won the last two races is simply that of stepping up in distance. Six and seven furlongs seem to help better than the minimum trip. Bath And Tennis has achieved a fair level of ability with an official rating of 80. Not bad. She has to shoulder 10 stone, which sees her giving 14lb away to the field. Can she win again? It isn't beyond the realms. I wouldn't knock anyone for betting although I will be watching myself. I feel for a two-year-old to give away a stone is a pretty tough challenge. So many times tipsters are only interested in the horse on the day. There's nothing wrong with that thought. It is exactly what I do much of the time. But it pays to think that horses, trainers, owners, opportunities are in a state of flux. Also, I always remember a horse breeder from the States. Nellie Cox from Rose Retreat Lodge. She said something that is so easy to forget: ''Every horse has its story.'' Often a story that very few realise. Those days, when foaled, are remembered by the breeder, staff. The sales ring. Learning the ropes to become a racehorse. Until the day they make their first race. And from there, the story, for most, begins. I would just like to say it brings greater insight to appreciate the horse's story. They all deserve respect as do the people who make horse racing their daily business.